Need your heavy equipment moved? Let our full service lowbed team move your overweight and oversized equipment for your next job. We specialize in moves from Maine to Maryland, and we handle all the loading, unloading and permits for your equipment moves. Our goal is to provide hassle free customer service, letting our customers manage their projects and keep them working. Developing a site that has a lot of stone to be crushed? 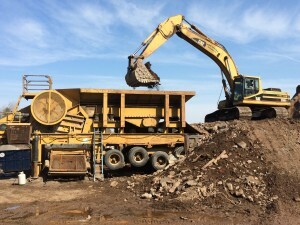 Recycling asphalt and concrete debris? 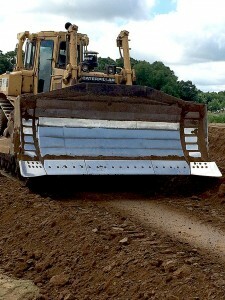 Need to rent a machine to screen materials onsite? Let our portable screening and crushing services handle your next project. We use our decades of knowledge in materials manufacturing to make our customers the best onsite materials for their construction projects. Call our sales team to schedule an appointment on screening or crushing your oversized materials. Herb Holden Trucking has been building residential communities and neighborhoods in Connecticut and Western Massachusetts for over 50 years. 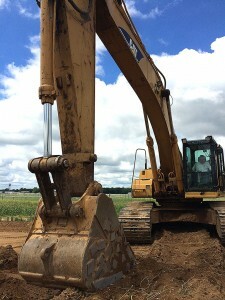 We service contractors and homeowners alike for construction projects that range from driveway installations and septic systems to onsite portable crushing and sub-division development.